It’s a lifestyle based upon quality and sophistication. The Shuttle SH61R4 carries the essence with one of the Shuttle’s signature product, along with cutting-edge black aluminum design. It’s lighter and more spacious than its predecessor and offers generous space for full-length graphics card and further upgrade. The SH61R4 is based on Intel® H61 Express chipset featuring all 2nd generation Intel® Core™ i7 / i5 / i3 95W processors to enhance better performance and capabilities. 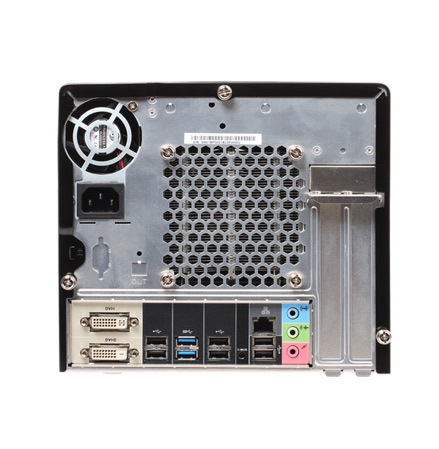 It sustains the on-board dual display technology with DVI-I & DVI-D, USB 3.0 ports, and is compatible with Mini-ITX from factor mainboard. Additional features is provided by the Mini PCI-e Interface which can be used for various applications such as WLAN module. 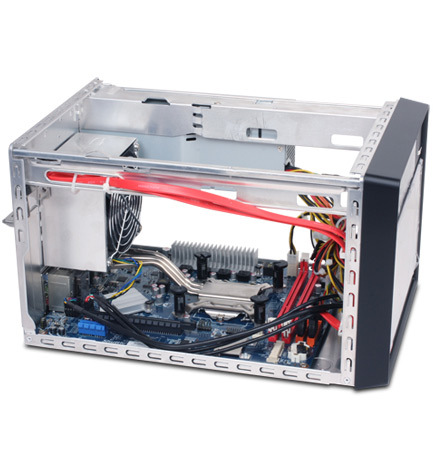 The R4 front panel allows customized panel with a removable acrylic plate. 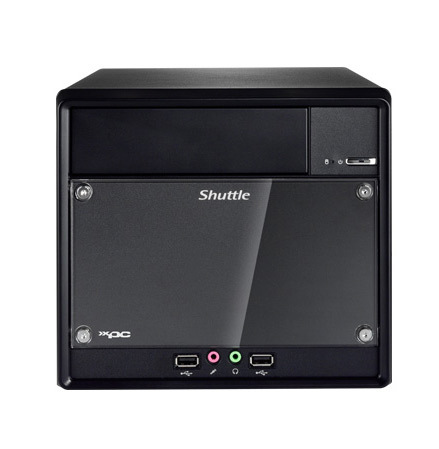 Shuttle SH61R4 provides you an entry-level system for both home and office, which delivers infinite innovative capabilities and outstanding performance. The Intel® H61 Express Chipset and 2nd generation Intel® Core™ processor family deliver the new technologies and innovating capabilities. The Intel H61 Express Chipset enables total 2 DIMM slots and installs DDR3 1333 MHz DIMM with maximum capacity up to 16GB. The 2nd generation Intel Core processor also includes built-in visuals for a stunning and seamless visual PC experience. The Intel H61 Express Chipset enables a balanced platform for everyday computing needs. Dual View technology offers multiple display support on up to two separate monitors. This improves the capabilities and productivity of the user by allowing them to spread multiple windows over two monitors and viewing them simultaneously. The SH61R4 also supports full HD 1080p Blu-ray technology that makes it a budget PC while enjoy the benefits of multifunction. 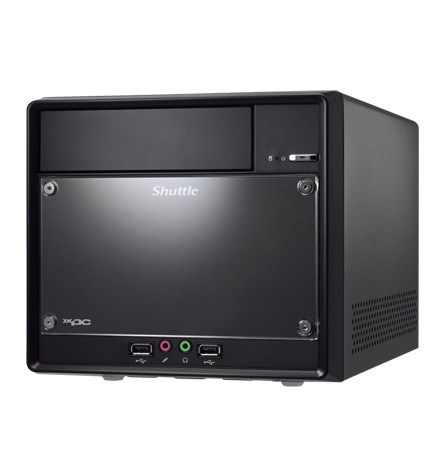 The SH61R4 comes with two USB 3.0 ports situated on the back I/O. With greater demands for transferring larger files at faster speeds, USB 3.0 promises to be a welcome improvement from 2.0 technology. For external enclosures using USB 3.0, it would reduce backup times considerably, improving productivity and efficiency. The SH61R4 includes a customizable front, with endless design and décor possibilities for home and business users. You can decide the design of the panel to your own wishes. The SH61R4 comes with a removable acrylic cover to make this possible. Any design that you want can be placed behind it. Whether a company logo, administrative data or your favorite photo –let your creativity begins, the options are virtually unlimited. 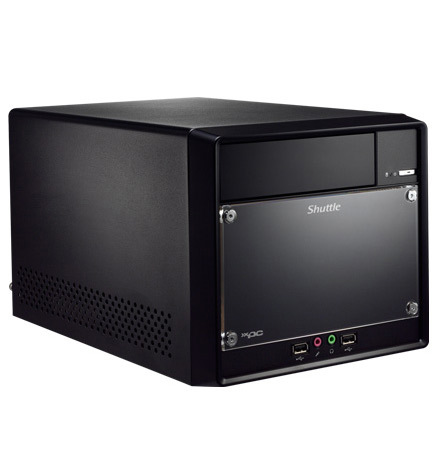 The Shuttle XPC Barebone SH61R4 comes with a Mini PCI-e slot which provides an easy way for users to add an internal device such as a wireless card to enable a wireless internet connection in no time. 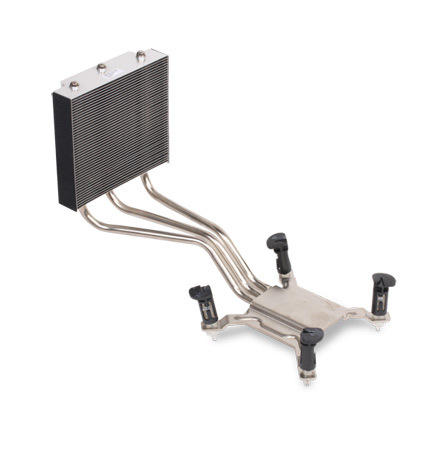 Allowing XPC to remain under a stable, cool, concise and silent condition, the Shuttle ICE heat pipe Technology uses convection cooling to dissipate heat away from and around the CPU. With all the same basic concepts and designs, the ICE copper tubes coated in nickel enhances tube hardness and rust-proof protection are filled with distilled water, effectively channels heat away, providing high efficiency processor and chassis cooling.